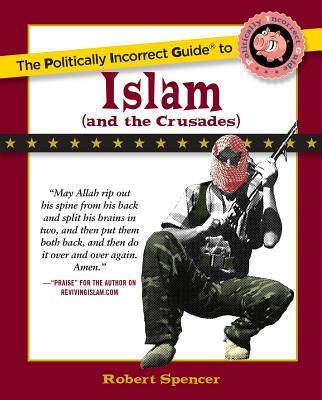 While many choose to simply blame the West for provoking terrorists, Robert Spencer’s new book The Politically Incorrect Guide to Islam (and the Crusades)™ reveals why it is time to ignore political correctness and identify the enemy - if we hope to ever defeat them. Exposing myth after myth, The Politically Incorrect Guide to Islam (and the Crusades)™ tackles Islam’s institutionalized mistreatment of non-Muslims, the stifling effect Islam has on science and free inquiry, the ghastly lure of Islam’s X-rated Paradise for suicide bombers and jihad terrorists, the brutal Islamic conquests of the Christian lands of the Middle East and North Africa, and more. He has appeared on FOX News, CNN, PBS, and C-Span and numerous nationally syndicated radio shows, including Michael Savage’s Savage Nation, G. Gordon Liddy Show, Janet Parshall’s America, the Michael Reagan Show, and Vatican Radio discussing jihad, Islam, and terrorism.